The yearlong anticipated wait is finally over and the ‘Smoke Gateway” has arrived. 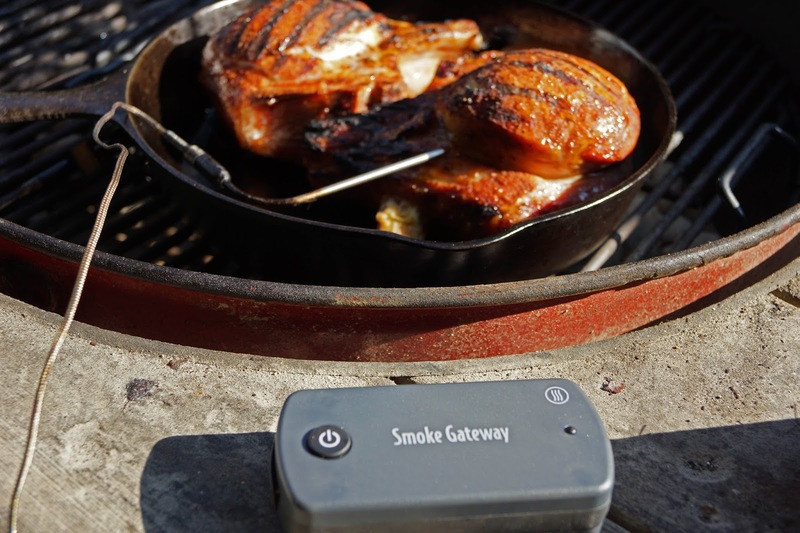 The Smoke Gateway is a Wi-Fi bridge for the Smoke 2 channel thermometer by Thermoworks. The Smoke thermometer is an invaluable tool that I use all the time in my bbq cooks. 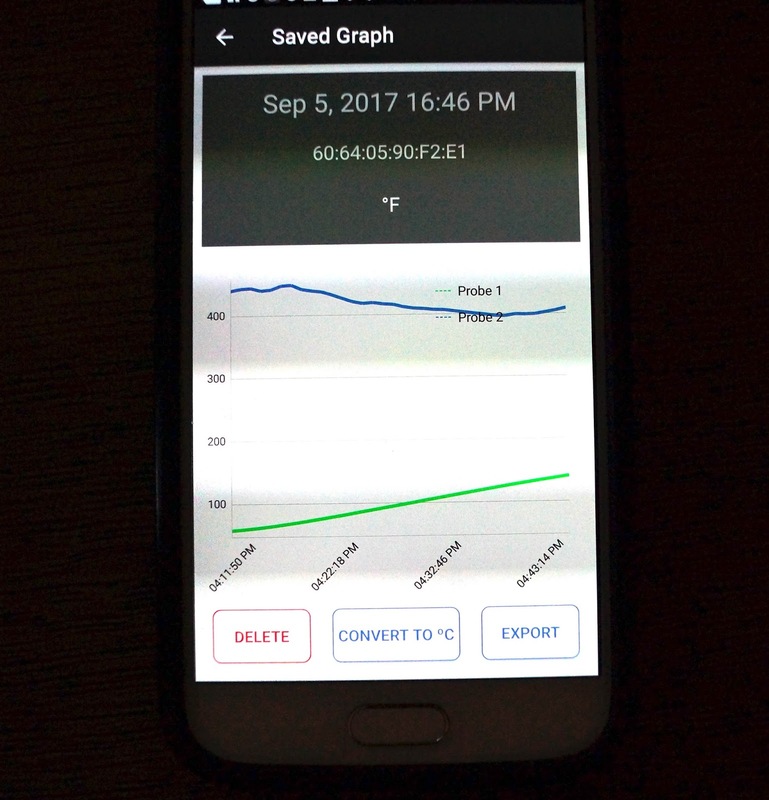 The Smoke Gateway will give me the ability to monitor and graph temperatures directly to my phone. The flexibility and ease of use may prove to be another important tool in my cooking efforts. Let me show you my new Smoke Gateway. The actual unit is a little unassuming. It is a small 4in by 2in gray box with an on/off button and a led indicator. It comes with a cord to plug it into a socket to charge. We did plug the unit into the wall socket and when charged will have 100 hours of use. 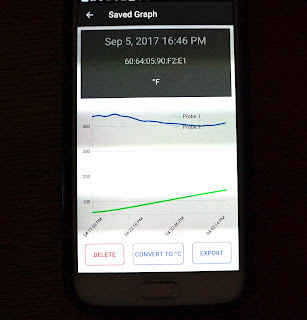 The next step is to pair the Smoke Gateway to the Smoke Thermometer and then to your smartphone (through Wi-fi) This is all controlled by an App that is downloaded to your phone. The App will guide you through this process. 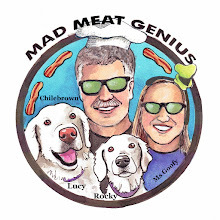 This Mad Meat Genius is a little smart phone challenged. The instructions are easy to follow and everything seemed to go right but that was not the case. I was stuck and needed help. I called the Thermoworks technical support. I talked to Kyle, who was very patient and walked me through the set-up procedure. I really want to sing praises for Thermoworks technical support. Let’s talk about what the App can show you. We access the App. and turn on your Smoke thermometer, Smoke Gateway and Wi-Fi' The units will all talk to each other ultimately letting you monitor this conversation on your phone. The first screen shows both channels of your thermometer in circle graphics. You can set high and low temperature parameters that will activate an alarm when they are met. The circle probe graphic will also turn red letting you know you have met your goal. Another screen will show graphs of the progression of the temperatures of your cook. At the end of your cook you can save this cook. You then can export this cook as a file and send it to your home computer as an Excel file. It is easy to navigate throughout this App. This smart-phone challenged genius picked it up very quickly. We did a test cook of some stuffed pork chops. I had a temperature probe in the chop and on the grill. I found myself staring at my phone the whole cook. I navigated around the App looking at the graphs and then back to the updated temperatures. The Smoke Gateway sends an update approximately every 70 seconds. I set one alarm at 140 degrees and it went off like a charm. At the end of the cook I saved the data and sent a file to my home computer. The Smoke Gateway is as advertised. It is a bridge to have you connected to your thermometer through Wi-Fi and your phone. 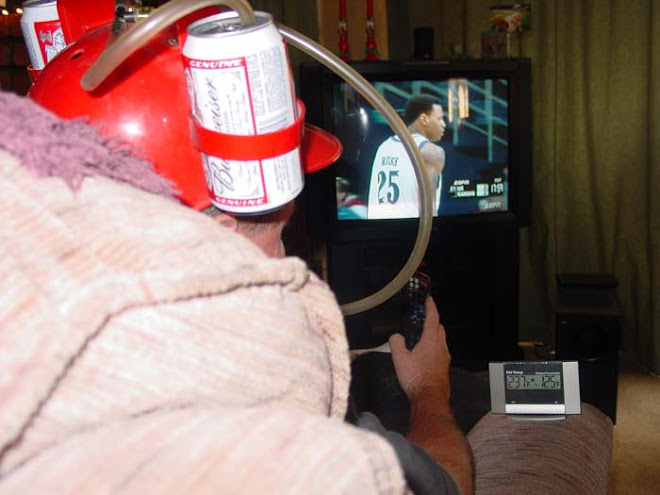 I do need to mention the Smoke Gateway price of ninety dollars. The Smoke thermometer is about the same price maybe a couple dollars more. I cannot live without my Smoke Thermometer. 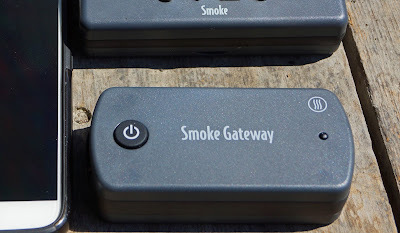 Do I feel the same way about the Smoke Gateway? I am still pondering this question. It is great to be connected in this modern world. I can run down to the store for coffee and still monitor my cook. I have graphs to see how my cook is going. I do want to mention the files that you export to Excel. I am not a numbers person and the data presented may not be helpful to me. If you are a competition cook and a numbers person this data would be invaluable. I am happy with my new tool and cannot wait for my next cook. By the way the stuffed pork chops were delicious. meathenge, Reverend we have come along way from digging bbq Pitts in Cookiecrumbs backyard. I still have my phone booth w/payphone in the living room and only just got a smart phone last year. Smoke Gateway is a welcome addition to my cooking tools.